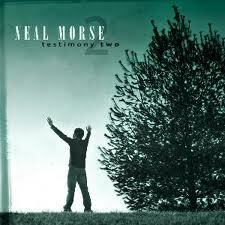 Multi-instrumentalist, Neal Morse, has pre-orders available for his new album, Testimony 2. The album once again features the drumming of Mike Portnoy and bass-playing of Randy George. Special guests this time around include Neal's former band (that he started with his brother in the 90s), Spock's Beard and also Steve Morse. So head over here and get your order in (there are various incarnations that include bonus material and even an autobiographical book). Neal is also launching his biggest tour ever as part of this release, so check out his tour dates at his website.